The HeX team have been supporters of the Forza Garibaldi movement since it began in early 2016 after calls from Nottingham Forest fans to mark the 150th anniversary of the football club. Since then the movement has created a positive campaign to create a greater level of backing for the club and inspire supporters. 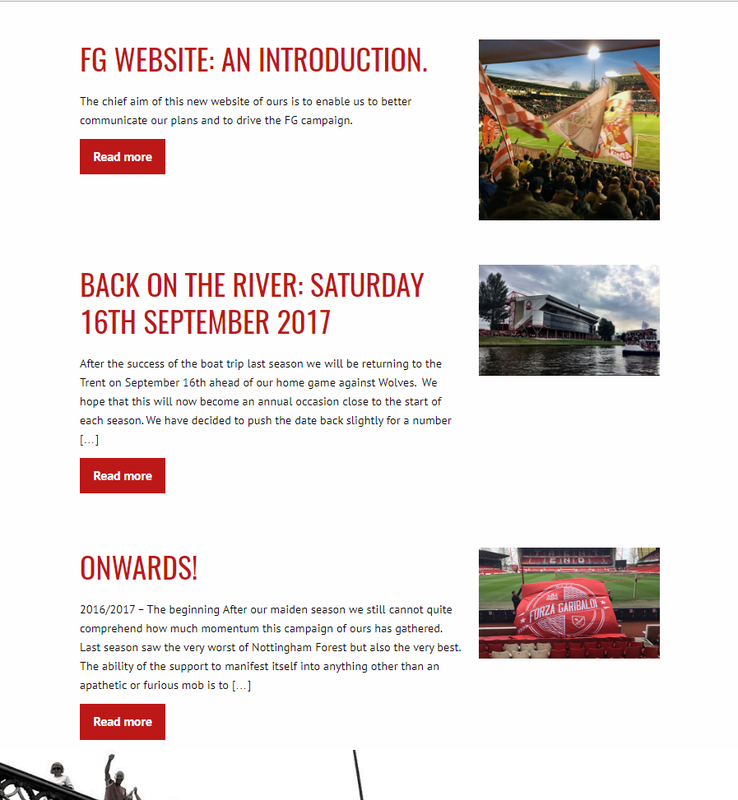 As a part of their ever-growing campaign to harness and engage the NFFC community, and as supporters of the cause, the HeX team were tasked with creating a website for the movement to have a central information location with a shop and blog page. The blog page was created in order to communicate the movements views, news and opinions on numerous topics. As they had never had a website prior to this, we were given specifications from the founders and started working on the website. Our aim was to create a positive place that fans could visit and that would reflect the goals and objectives that Forza had set out to accomplish. As a part of the site, we created a shop that was linked with WooCommerce in order to supply visitors with a number of products that previously weren’t as accessible. Once the website launched, this shop proved particularly successful, selling out of some products in a matter of a week. In the first two weeks of the site being launched, more than 2,300 people visited the website. This proves there was a need for the website to be online and proved a great tool for the Forza Garibaldi movement, especially in order to reinvigorate the supporters of Nottingham Forest. 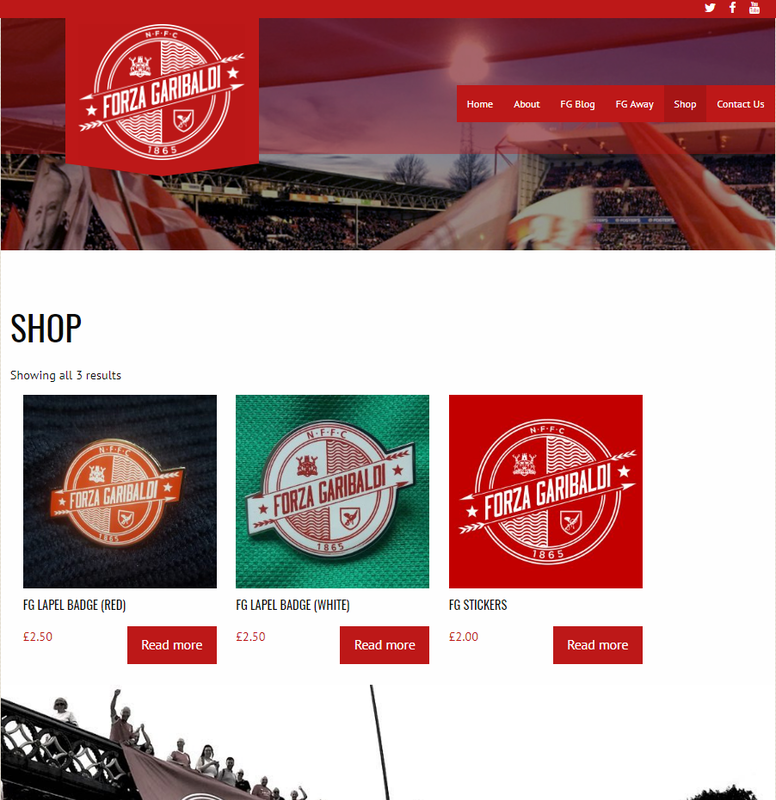 If you want to see the Forza Garibaldi website for yourself, visit www.forzagaribaldi.com You can also join the Forza Garibaldi movement for free and it’s open to anyone wanting to reinvigorate the traditional support for Nottingham Forest.